Browsing the Lego aisle at your local department store is fun but hardly as exciting as a whole shop devoted to our favourite coloured bricks. 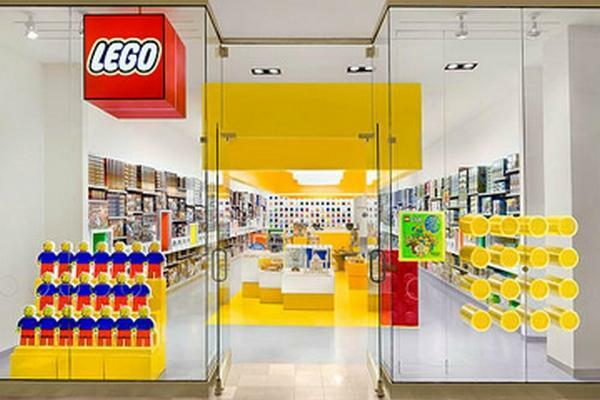 A new Lego store opened in New York a few days ago and it may well be the best, most fabulous Lego store of all. 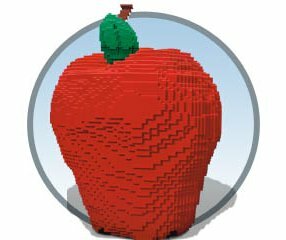 The occasion was marked with the construction of a giant Lego apple by a team of Lego Master Model Builders and the willing little helpers milling around. Apart from over three hundred different building sets available to purchase, the store features a master-builder bar where you can while away a few hours creating and a pick-a-brick wall which houses various Lego pieces in a variety of colours and shapes – so you can finally source that elusive brick needed to finish your masterpiece. The Lego store also hosts birthday parties. Aside from a special party area, the birthday child receives an exclusive Lego birthday brick and listens to a rousing rendition of the Lego birthday song. Well I’d certainly like to hear the song but I’m quite certain that the thought of an exclusive birthday brick has got the pulses racing of many adult Lego fans – come on, you know you want one. We’ll keep you posted with more fabulous images as they arrive.